Psychotherapy is sometimes called the “talking cure.” What is it about talking that helps? Psychotherapy professionals are trained to help people talk about issues that affect their state of mind and feelings. Sometimes people may feel unable to talk about these problems elsewhere. The psychotherapy relationship with a professional is confidential and private, leading to an atmosphere of trust. The confidential nature of the relationship with the professional makes it possible to talk about difficult and sensitive issues. Patients gain relief from talking about issues they thought were impossible to discuss. Patients feel acceptance from the psychotherapy professional about the thoughts and feelings being discussed. Since difficult issues can now be brought out into the open, new ways to think about the issues can be offered and discovered by both the patient and professional. This can bring a reduction in anxiety and depression. A relationship is formed between the patient and professional that becomes a learning tool for the patient. This relationship reveals much about the patient’s other relationships. Since relationships affect psychological health so keenly, this aspect of psychotherapy is a critical factor in alleviating the problems that brought the patient to psychotherapy. Psychotherapists at Kairos Psychological, P.C. use different techniques mainly based in a relational approach to psychotherapy. 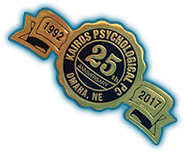 Professionals at Kairos Psychological, P.C. use psychoanalytic principles of human growth and development to give their patients the best in psychotherapeutic care available. At Kairos Psychological, P.C., psychotherapy professionals provide consultations, and couples, family, group, and individual psychotherapy for all age groups. Professionals are available during the weekdays and evenings. Some are also available on Saturdays. Therapists at Kairos Psychological, P.C. are providers for several major insurance companies. If insurance is used, claims for the patient are processed electronically by Kairos Psychological, P.C. View Professionals at Kairos Psychological, P.C.